So by now, we're guessing you'll have seen the line-up for the Rock Sound Breakout Stage at Slam Dunk Festival 2018 (if you haven't, scroll down - it's sick! ), but do YOU want to decide who else plays? Scroll down to vote for the local band you want to open the Rock Sound Breakout Stage! In a band and want to play? 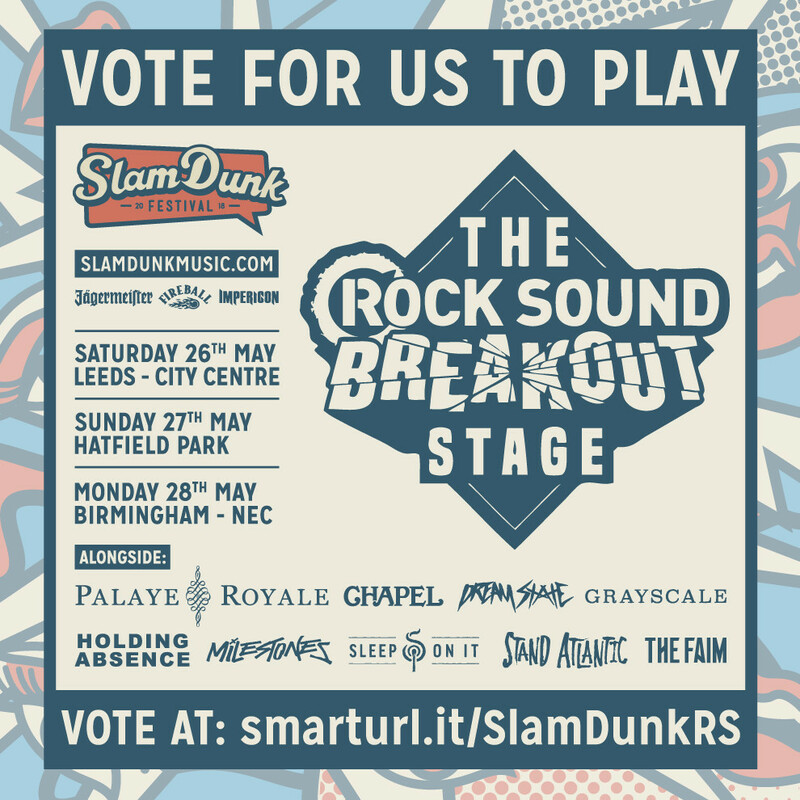 Share the smarturl.it/SlamDunkRS link and the graphic below far and wide to get people to vote for you!